With over 14 years' experience in the hospo industry, Chef Azem Dzevlan has cooked his fair share of French and Middle Eastern cuisine at Bistro Thierry, Maha, Le Bouchon and Smith + Singleton. Now–finally–he’s got a little menu to call his own. The place is called Black Gold, a new café that’s making waves on Richmond’s trendy Lennox St. The couple has gone out of their way to build a menu around absolutely top-notch ingredients, the finest produce from trusted local providers. As such it's set to change seasonally, depending what’s fresh at the market, for maximum quality and flavour. 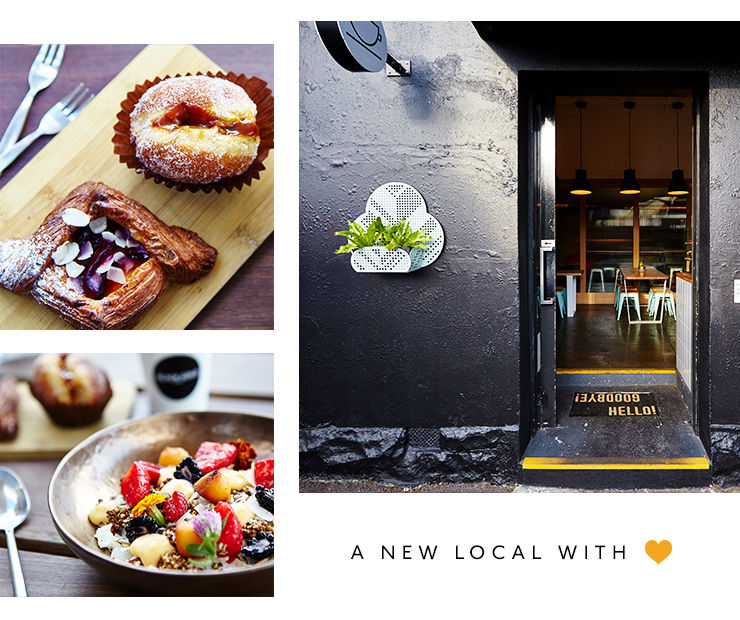 With dairy from the Yarra Valley, baked goods from Cobb Lane Bakery and organic cane sugar from Panela (trust us, it matters), you’re definitely getting your money’s worth at Black Gold. Another thing: you won’t find common café meats like bacon and chicken on the menu. Instead, Azem and Aisha are kicking things up a notch with house-smoked salmon and king fish, air-dried wagyu and scrumptious smoked duck. 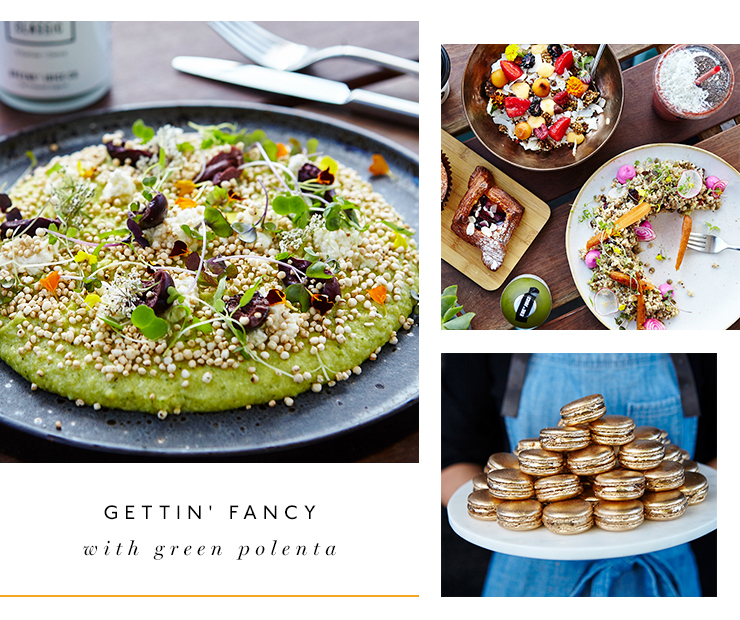 And how often do you hear of a café that offers green polenta? Topped with black olives, ricotta, puffed quinoa and a perfectly poached egg, it’s an organic European alter to green food. That Hulk-green colour comes from zingy pistachio pesto. Azem admits it’s a bit of an acquired taste, but that’s what makes it unique, innit? If that ain’t green enough for ya, they’re one of the few cafes that offer matcha lattes, plus all-green fresh smoothies and bottled juices from Greene Street. “We made a list of a few names we would call the cafe, but it had to be Black Gold because it represents what we are about: premium quality produce,” Aisha says. Living up to their exclusive name, Black Gold is one of the first cafes in Melb to offer a special blend of “black gold” from the award-winning ONA Coffee (it’s a freaking raspberry candy roast!) And you can’t finish up without one of their signature gold leaf macaroons, which leave gold dust on your fingertips and the sweet tang of salted caramel on your tongue. Black Gold is clearly off to a flying start–they sold out a heap of dishes on opening week–but the little selfish part inside us hopes it stays a Richmond secret for a while yet. With food like this? Fat chance.